Only God’s love can give people the security they are looking for. Readers of this tract will see how his love is unconditional and it never fails. You don’t have to be a member of the Lonely Hearts Club to be looking for love. All of us—whether we’re fifteen or fifty, handsome or homely, married or single—need the kind of love that makes life worth living. You know what I’m talking about. You want some­one to make you feel glad that you’re alive. Someone to love you—not for how you look or what you can do—but for just being you. You want a love you can depend on when everyone else has failed you. Unfortunately that kind of love is hard to find. Turn on your radio and someone will be singing about the lover who let him down. Tune to a talk show and a daughter reveals the painful memory of a father who never loved her. The problem is universal. 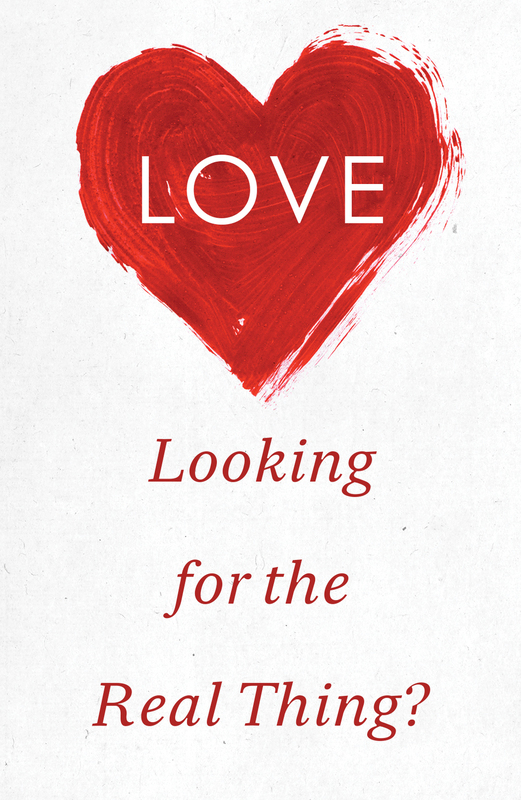 In some way we’ve all been wounded in our search for love. The good news is that there is a love that can heal any broken heart. A love that you don’t have to earn. An unconditional love that is stronger than any hu­man love. God is the source of that love. When our lives are open to him, God’s love can flow to us and through us to others. But when sin separates us from him life is an emotional roller coaster. One day we feel loved; the next day we don’t. God’s love is so great that he sent his own Son to bridge the gap that separates us from him. The Bible says, “God demonstrates his own love for us in that while we were yet sinners, Christ died for us” (Romans 5:8). That’s love! Jesus Christ gave his life so that we would know his Father’s love forever. There is no sin that we will ever commit that has not been paid for by Christ’s death. Nothing can separate us from his love. Recognize that your sin separates you from God. “For all have sinned and fall short of the glory of God….the wages of sin is death” (Romans 3:23, 6:23). Realize that God loves you, and believe that Jesus Christ died for your sins. “God so loved the world that he gave his one and only Son [to die as our substitute], that whoever believes in him shall not perish but have eternal life” (John 3:16). Christ “suffered once for [our] sins, the righteous for the unrighteous [us! ], that he might bring us to God” (1 Peter 3:18). Receive him into your life by faith. “For God did not send his Son into the world to con­demn the world, but in order that the world might be saved through him. Whoever believes in him is not condemned…. whoever believes in the Son has eternal life” (John 3:17-18,36). Why not get off the roller coaster today? Only God’s love can give you the security you’re really looking for. His unchanging love can free you to be all you’re meant to be.